Sometimes, people wonder how some celebrities manage to perform for several hours without knocking off stage. Some people have alleged that these entertainers (musicians) take lots of stimulants to be able to perform. If it comes to alcohol, it is not news as majority of these celebs consume lots of alcoholic drinks both before and after performance, but we will decide not to mention names now. 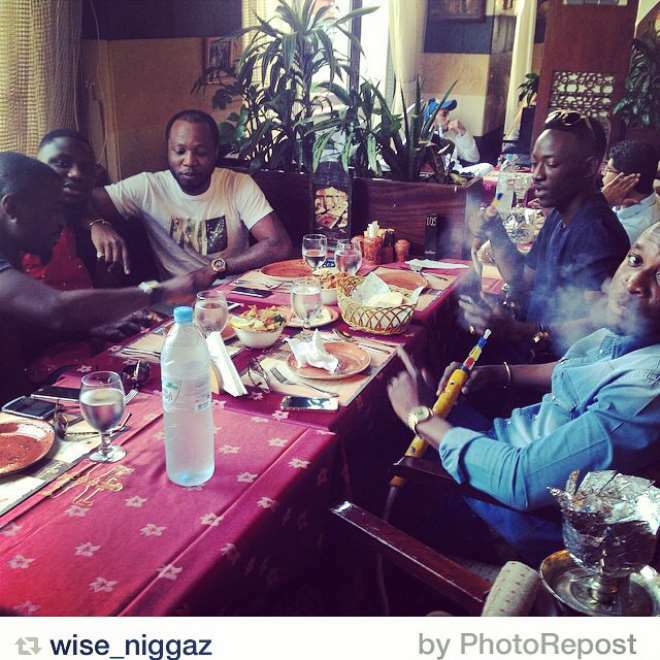 What strikes NFC most, is about fast rising Hypertek artiste, Dammy Krane, who is gaining more fans across the globe, publicly displaying his smoking skills with a bong, on the social media and the question now, what is the motive behind his smoking habit? Smart enough, he did not display the tobacco container, but the pipe itself which he used in smoking.